61st minute.He has now scored three goals in the league for his new side, bringing his total in the league for this season to four having scored one for Samsunspor.Compatriot David Abwo was in action for Giresunspor. In a related vein, Nigerian striker Chikeluba Ofoedu was the match winner for Samsunspor as they beat Antalyaspor 2-1 on Sunday. Samsunspor are sixth on the league table with 36 points in 23 games.The former Rangers striker scores the winner in the 82nd minute. 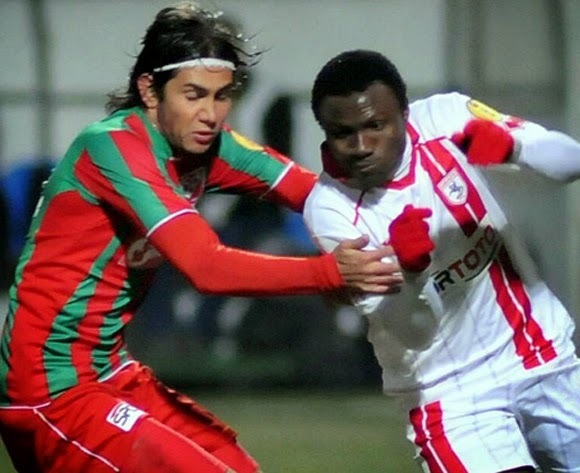 He has now scored four goals in colours of Samsunspor. His total haul this season is seven goals having scored three goals for Karsiyaka.